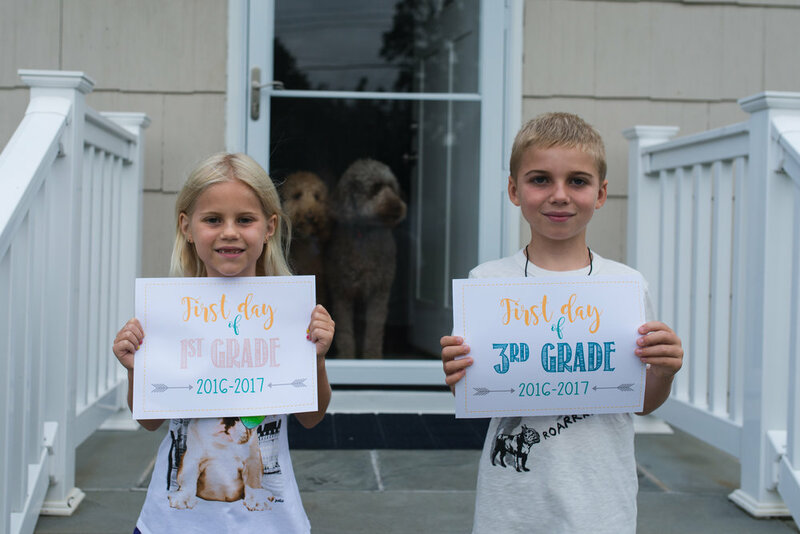 One- SCHOOL'S out for SUMMER! WOO HOO! Today is our last day and my kids have to go to school for an hour, so silly. So after I drop them off I head to the bagel store and get bagels for lunch and after pick up we head straight to the beach. Such a fun tradition! And of course I will be taking the traditional "Last Day" photo today. 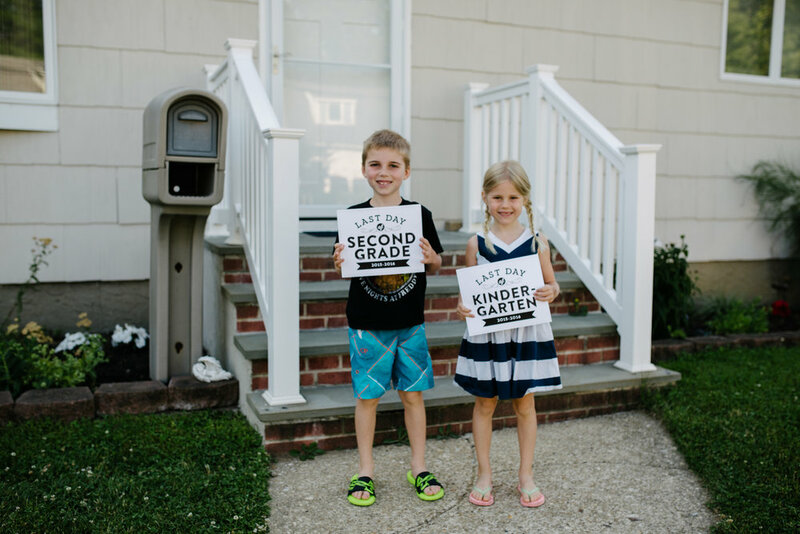 Here is last year's and the first day of this school year, they grow so fast! Two- Summer! So, summer was my favorite season when I was a kid, as an adult it has never been my favorite because I don't love the heat. But, as a mom, I LOVE summer with my kids! First off, I love that we have no obligations. We don't have sports we have to shuffle to, or speech appointments, or any standing appointments and we really fly by the seat of our pants. With that said, my kids do go to camp and they LOVE it, and I do work during the summer photographing two camps and it is a blast, but other than that we really go with the flow. Owen is doing a basketball under the lights league, but it is very casual and only once a week, so I don't really think it counts. 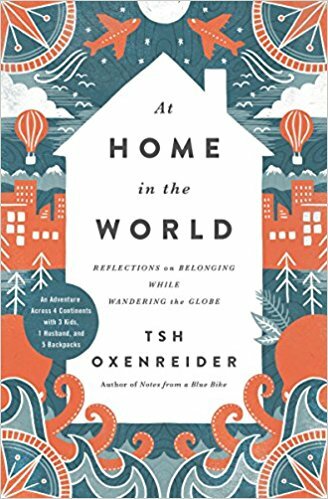 Three- I am currently reading this book and it's written by Tsh Oxenreider who does the podcast I recommended called The Simple Show and it is all about her families trip around the world. Let me tell you it is giving me major wanderlust! The other thing I love about the book is how she is so real about travel, and the positives and negatives of traveling with kids. Four- Cilantro Lime Chicken. I have made this a couple times now and it is DELISH! Marinate boneless skinless chicken thighs in a combo of olive oil, the juice of two limes, cilantro, salt, pepper, and garlic powder, then throw them on the grill. YUM! Five- The beach! As I said above we are heading to the beach today. Living 15 minutes from the beach is a favorite of ours.